Lamps that are simple, light, unique, pure, essential. Sometimes magical. Lamps designed to give depth to the space we live in, or simply to create light. Since the 80's Davide Groppi has designed lamps to fulfil this philosophy from his base in Piacenza. The basic components of Davide Groppi design are simplicity, lightness, emotion and invention. A voyage inside the etherealness of light. From the lightbulb to the quest for a light without source. To be simply enveloped in welcoming light. Infinito is a spatial concept; it is continuous light. 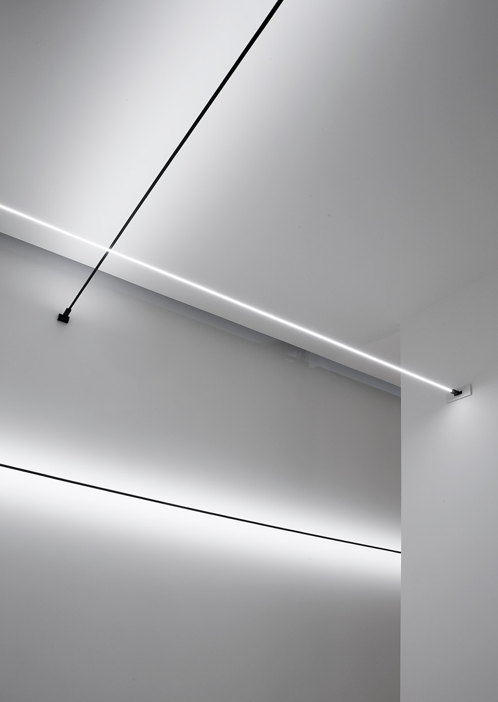 A thin strip made of stainless steel a mere 18 mm in width “cuts” the space to produce indirect light. It is possible to adapt Infinito to various situations, stretching it from wall to wall or ceiling to floor, according to one’s taste or needs. It comes in strips up to 12 m in length. The Infinito and Flash projects are all part of a system. It’s a system that breaks down the actual lamp and light source, turning it into something else, leaving only a trace, a line and then not even that. It becomes, finally, a concept: light only. 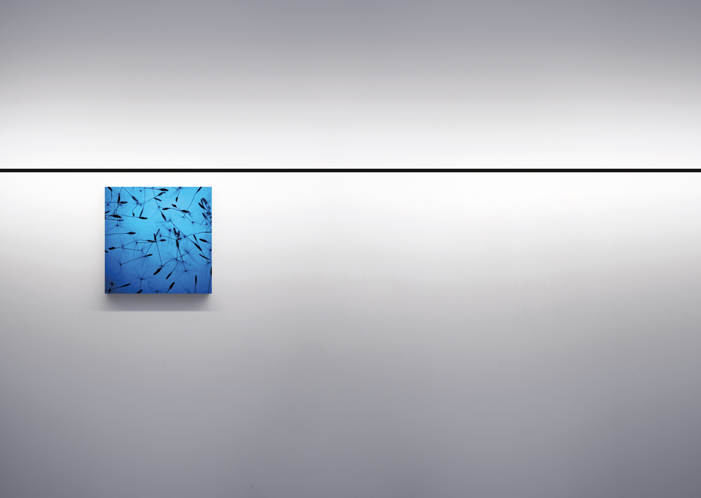 This project pays homage to the art of Lucio Fontana and his spatial concepts. A thin strip of metal “cuts” the space to produce indirect light and direct light. The graphic force of this system is surprising. It can be integrated into space, but at the same time it becomes part of that space. A portable lamp which turns every table into a place to meet and to love place and finally to consider light like a fundamental ingredient of life. It is the most beautiful light in the world. The light which turns everything more real and deeper. The light which makes us feel unique around a table. The light is investigated and presented in its pure physical aspect. A very simple idea: a hole in the ceiling.